Αυτοί νικούνε κι όταν πέφτουν». Just before dawn, a Sunday 65 years ago, the post-civilwar Greek state executes the Communist Nikos Beloyannis and his comrades. May they sacrificed their own lifes but as the great French poet Paul Eluard wrote "Beloyannis is dead. He didn't sacrifice anything from our honour and hope for a bright tomorrow". 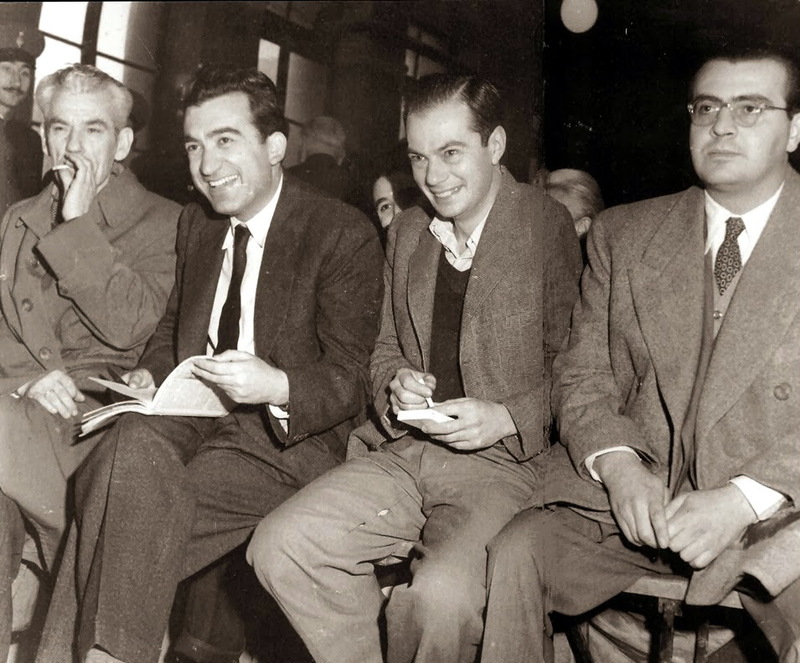 during their second trial. Athens, February 1952. Few days after the execution the following short letter was sent to his mother, Vasiliki, by the political prisoners of "Inzentin" prisons. Beloved mother. We the 500 political prisoners of the medieval prisons of "Inzentin" on Creta, with endless love join our grief with yours for the death of our beloved friend Nikos. You lost your son, we lost our brother. Country lost the earnest patriot. People the hero. Humanity the great man. Disarmament, freedom, democracy, peace, progress, lost their hero, their militant and protector. On earth, your children are many millions. These children hold in their hearts Niko's memory. These swear in his name. Honour and glory to our hero brother. Cursed be the murderers,organizers of wars. No more blood. Peace and democracy in Greece and the whole world. Political Prisoners of "Inzentin" prisons. Αναρτήθηκε από Død στις 2:34 π.μ.